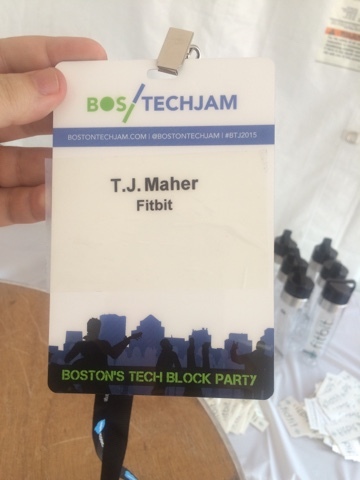 I've always liked getting involved, so when I heard that Fitbit-Boston managed to get a booth last minute at @BostonTechJam I signed up immediately! I volunteered to help pack up the truck, go down to the site here at Boston's City Hall Plaza here in Government Center, set up, and staff the booth. I will be live blogging the event! Stop by this page throughout the day, and I will be posting pictures and updates about my experience here. Feel free to come by, take pictures, and tag me in them. On Twitter I am @tjmaher1. After a long traffic-filled ride from the office, we unload the truck and start setting up. Come on down! We are in Booth 16. And I am ready for my close up! #FitbitSelfie! After a quick lunchbreak, and a quick trip to get zip ties for the Fitbit banner, we started setting up the booth. The little Drew Carrey-like decal on my MacBook? My wife bought me that for my birthday! It's a windy day! Let's hope the bottles stay up! 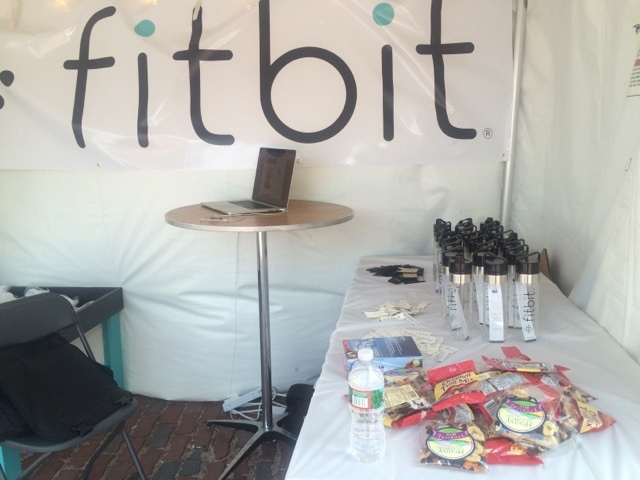 The Fitbit-Boston Booth Game: Win a chance for a Fitbit Headband! #ILoveThe80s #RingToss. Need a temporary tattoo? We have them! Fitbit stickers, and Fitbit water bottles. 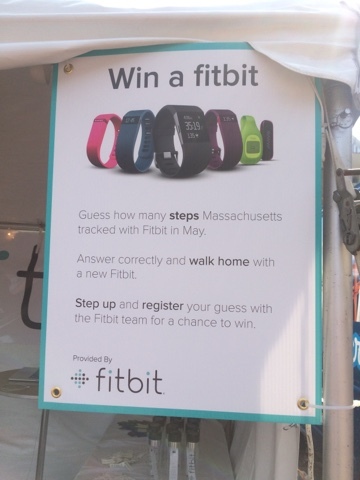 Guess how many steps thst Fitbit recorded in Massachusetts in the month of May 2015 and win a free Fitbit device! Stop by the booth, and submit your guess! At 8:30 pm, we'll see the top four closest answers, and give the winners a call. 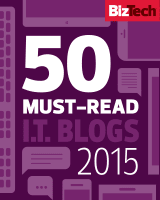 We will be giving away Fitbit devices: A Fitbit Surge, a Charge HR, and others. People love the ring toss game! 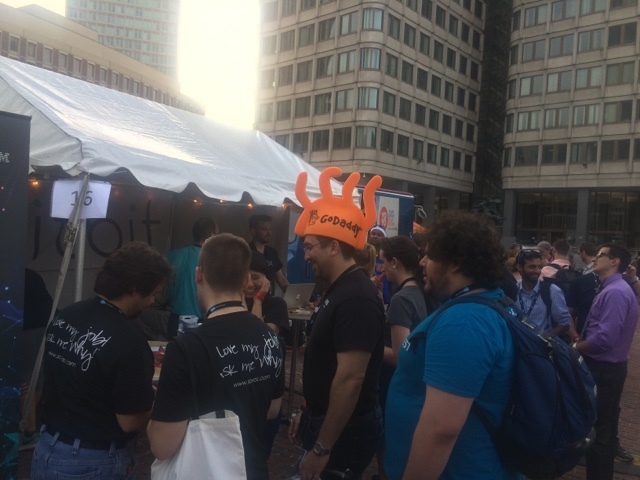 More people play the ring toss than want to guess how many steps were registered in Massachusetts. 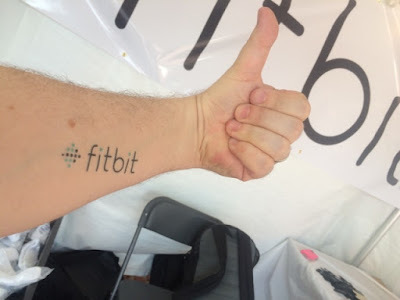 We have Fitbit temporary tattoos! In spite of being way too close to the stage, our booth is mobbed, with everyone crowding around to put in their guess on how many steps Fitbit recorded for Massachusetts for the month of May. By the end of the night, over 150 people submitted answers to our trivia question! Question for the Fitbit Giveaway: Guess how many steps Massachusetts tracked with Fitbit in May. 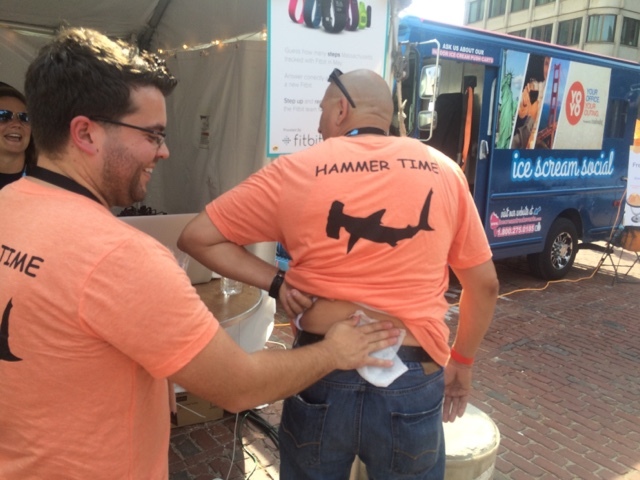 Answer: @Fitbit recorded 27,393,832,831 steps that Massachusetts registered users took this May. 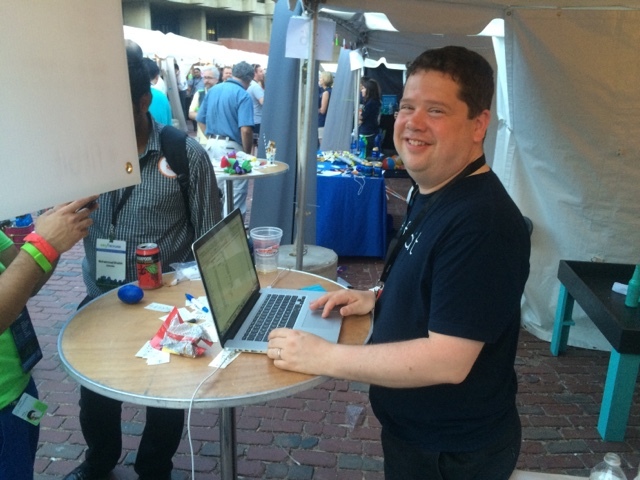 Giveway held @BostonTechJam #BTJ2015. 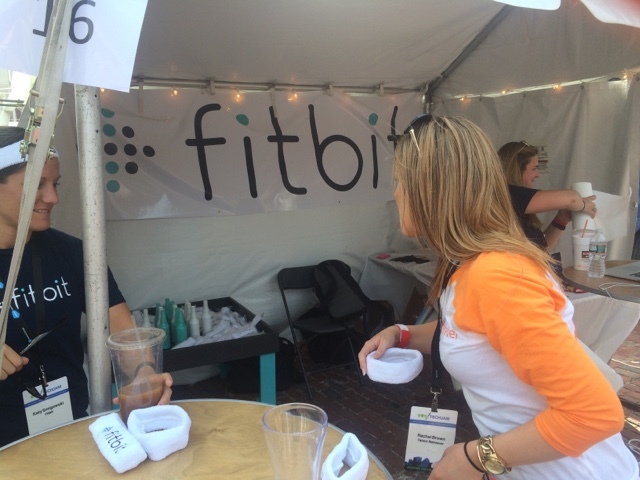 We had four lucky winners receive a Fitbit Surge, a Fitbit Charge HR, a Fitbit Flex, and a Fitbit One! I must say, I never worked at a company whose products made people so happy! 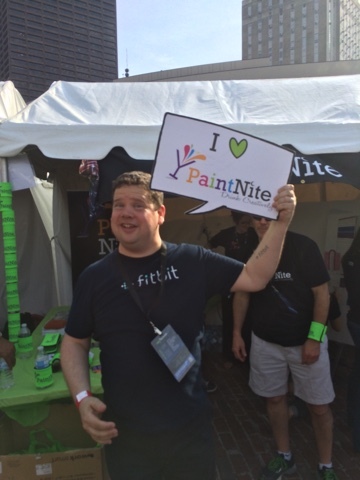 I am lucky to be part of the Fitbit-Boston team. Want to join the team? 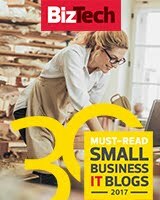 Fitbit-Boston is hiring!